Forum for inspiring ideas, tools and networks. The ins and outs of business events and conferences. 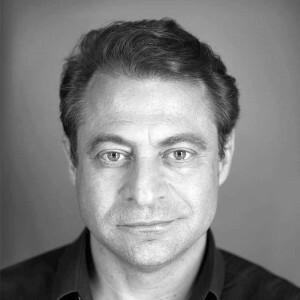 Peter Diamandis is not only an innovative founder of multiple organizations, but he is also a man who believes there are no problems that couldn’t be solved. At Nordic Business Forum 2016, Diamandis will speak about the implications of exponential technologies digitization. If it had been up to his parents, Diamandis would have become a doctor, and on paper he actually did. However, after graduating from Harvard Medical School, he pursued his childhood dream and focused on making it possible for anyone to fly in space. He established a foundation called XPRIZE and announced a $10 million prize for the first non-government organization to launch a reusable manned spacecraft into space twice within 14 days. Today XPRIZE designs and operates numerous incentive competitions to motivate groups around the world to innovate radical breakthroughs for the benefit of mankind. Although XPRIZE is what Diamandis is best known for, he is also the Co-Founder and Vice-Chairman of Human Longevity Inc, which strives to make “the 100 the new 60”. The company seeks to extend the human lifespan through genomics, cell-therapy-based diagnostics, and therapeutics. In addition, he is the Co-Founder and Co-Chairman of Planetary Resources, a company that designs spacecraft in order to expand the earth’s resource base by developing and prospecting asteroid mining. Diamandis is also the Co-Founder of Zero-Gravity Corporation and Space Adventures. In case you’re not impressed enough yet, Diamandis is also a man with three degrees; M.D. from Harvard Medical School, an undergraduate degree in Molecular Genetics and a graduate degree in Aerospace Engineering from the MIT. He has also co-founded Singularity University, a graduate-level institution that aims to educate and empower students to apply exponential technologies to address the great challenges of humanity. In addition to having written two New York Times bestsellers, he has also drawn Peter’s Laws, that he refers to as the ‘Creed of Passionate and Persistent mind’. These 28 laws include rules such as “If you can’t win, change the rules” and “When given a choice…take both”. Thus, Diamandis really practices what he preaches; he is a great example of following your passion and creating your own future. Diamandis is an inspirational speaker and at Nordic Business Forum 2016, he will speak under the theme of digitalization. If you are interested in getting the tools to positively impact the world and to make your dreams come true, you should read Diamandis’ newest book ‘BOLD – How to go Big, Create Wealth & Impact the World’. Do you have a problem, that seems to be impossible to solve? In his article in Success magazine, Diamandis talks about ‘exponential thinking’ and gives some suggestions on how to solve problems by innovating a new solution. Diamandis is in the opinion that the future is brighter than we think and in his TED speech ‘Abundance is our future’ he reasons well why that is. Although presented 4 years ago, the speech is still as topical as it was back then.